Imagine... you were the only person in the world who remembered The Beatles? Welcome to #TRAILERCHEST, where we will be looking at the latest trailer for Yesterday. Yep, that appears to be the plot of this movie, written by Richard Curtis (Love Actually, Four Weddings And A Funeral), and directed by Danny Boyle (Slumdog Millionaire, 28 Days Later...). Himesh Patel plays a struggling musician who survives a car accident, but wakes up in a world where he remembers all of the lyrics and melodies of the hits by The Beatles, but all memory of them ever existing seems to have been wiped from the minds of everyone else on the planet. 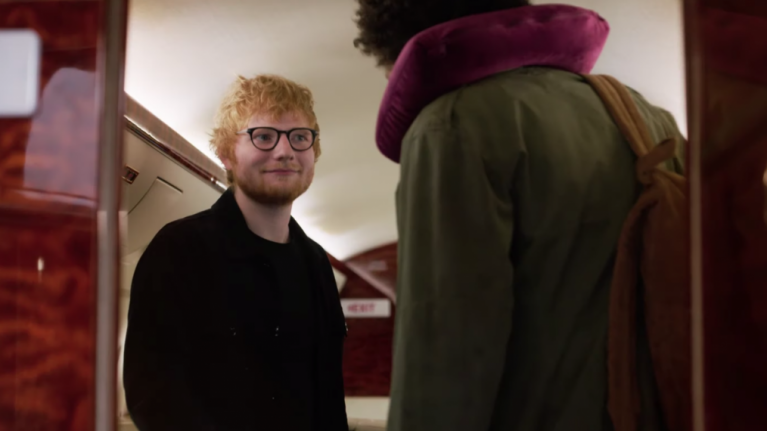 He uses this knowledge to quickly become one of the biggest, most successful musicians in the world, rubbing shoulders with other hit-makers (oh, hi Ed Sheeran! ), complete with a powerful new agent (oh, hi Kate McKinnon! ), but will this new fame ruin his relationship with the love of his life (oh, hi Lily James!). It is a very high-concept romantic comedy (not terribly unlike the time-travelling plot that Curtis pinned the fantastic About Time on to), and we imagine the soundtrack rights to this were... expensive.